With this thick luxurious coat you’ll want to keep a good brush on hand. Devoted and loyal with a protective nature and good guarding instincts. 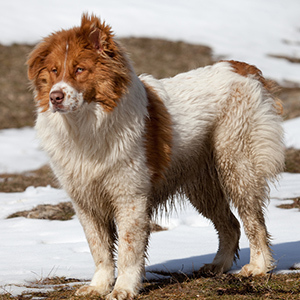 As befits the breed’s origins, they make great guardians of livestock or property. Can be reserved with strangers and require firm training. 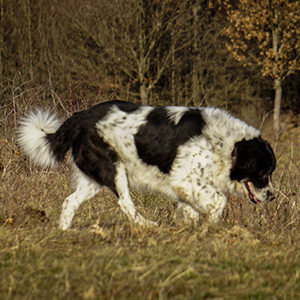 This breed is loyal and protective of its family and property. Requires early socialization with other dogs and people. 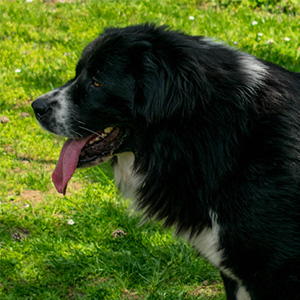 The Bulgarian Shepherd, Karakachan or Thracian Mollos as it is also known, is an ancient breed with its ancestry dating back as far as 3000 BC. 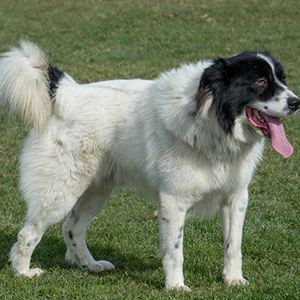 The breed originated in Bulgaria as a mountain livestock guardian dog and was named after Balkan nomadic shepherds, the Karachans. The conservative stock-breeding practices of these groups lent itself to the preservation of some of the oldest breeds of domestic animals in Europe. Given that the Balkans originated from what is now Afghanistan and Iran, it is thought the Bulgarian Shepherd is most likely also from these regions. Todor Gajtandjiev, is known as the first real researcher of the breed and the one to propose its standardisation the 1970s. Brave, loyal, devoted and highly intelligent, the Bulgarian Shepherd has been commonly used as a border army watchdog as well as a livestock and property guard. 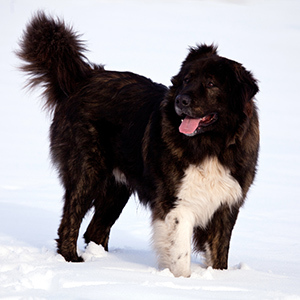 The Bulgarian Shepherd has a strong and sturdy build and features a thick, medium-length to long coat. 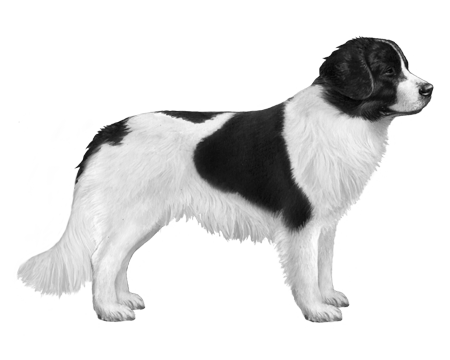 Usually predominantly white with black markings, other variations can be found from time to time within the breed.